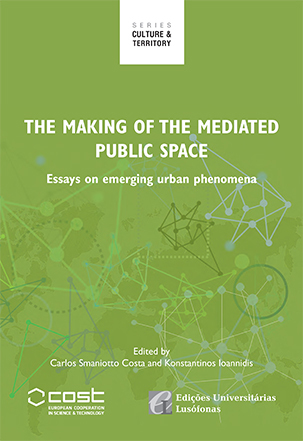 Synopsis – This volume aims to promote discussion and critical thinking on the urban environment at the intersection of the neighbourhood and the city, along their socio-spatial relations, from an interdisciplinary, multidimensional and international perspective. 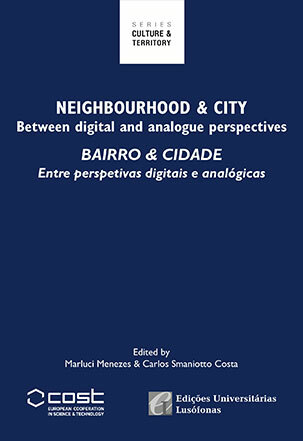 The chapters cover various aspects related to the meaning of living, intervening, planning, managing, thinking about and producing the city in the digital era, with a view to increasing the understanding of neighbourhoods as part of a wider consideration of social and sustainable development and the need for greater care of urban communities. This has a direct impact on public open spaces, which lie at the core of CyberParks. The international scope of the edition is enhanced by its bilingual nature, as this volume targets, in addition to a European readership, also the readership of Portuguese-speaking countries. This publication is based upon work from COST Action TU1306, supported by COST (European Cooperation in Science and Technology). Synopsis – The essays of this book discuss a series of reflections related to space and outdoor digital technologies – the so called Mediated Public Open Space. Thirty international authors and researchers engage in the nexus people, places and technology from different positions and perspectives. They shed light to emerging socio-spatial and technical mechanisms and the multiplicity of interaction of humans with urban spaces intertwined by contemporary pervasive technologies. Can the Mediated Public Open Space enable new interactive experiences? Can it lead to innovative realities where the community celebrate publicness enlivening the public realm? These are some questions posed in this volume and the essays that follow attempt to provide food for thought towards increasing the understanding of public spaces in the post-digital era. Synopsis – In April 2016 CyberParks organised the mid-term research event ICiTy – Enhancing places through technology, in Valletta, Malta, focused on the opportunities and challenges to public spaces brought about by the advancements of ICTs. The conference provided an excellent opportunity to synthesise the current ‘state of the art’, which is now reflected in this collection. 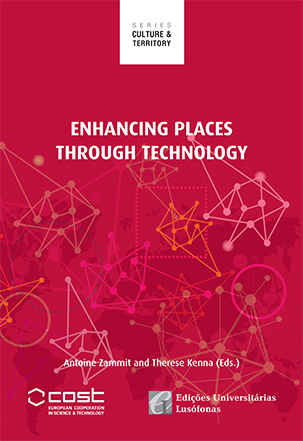 It presents interdisciplinary perspectives, analysis of new methodologies, new theoretical or conceptual models for the digital era, as well as preliminary studies of peoples’ use of, and engagement with, technology in public spaces.